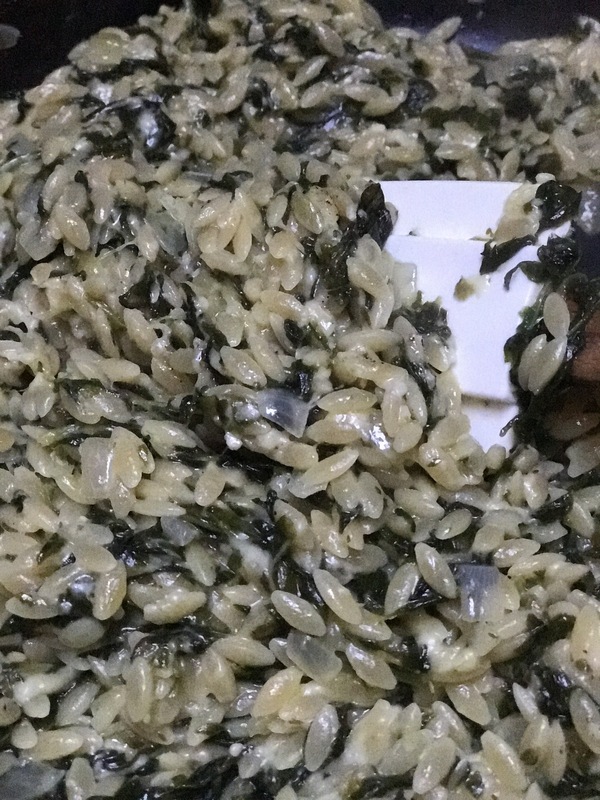 Orzo… whenever I mention it to someone or I share a recipe that involves orzo, often I hear what’s that?? 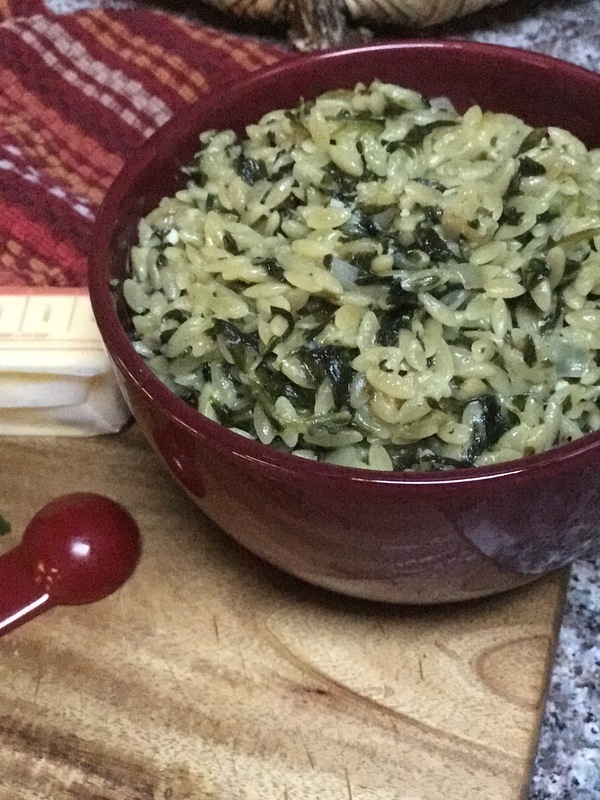 If you have never used orzo in a recipe you are missing out! I love to use orzo in soups, pasta salad, added to stuffing for vegetables, or even as a side with just a bit of butter. Orzo is softer and plumper than rice and you can substitute orzo for rice in most recipes. 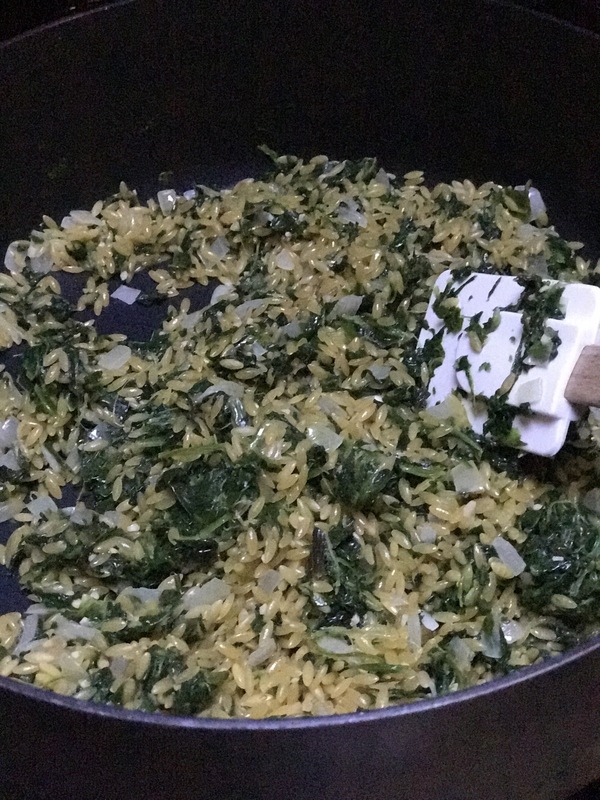 My husband actually prefers it to rice…lucky for me he likes soft and plump 😜 And leftover orzo is much better than leftover rice. I love this recipe as it has spinach, one of my favorites, and it’s a quick cook, one pot, side dish….say that five times fast! In a large sauté pan (deep sides) sauté the onion, garlic and spinach in the butter. Once the onion is translucent add the orzo coating it with the butter, you can add a bit more butter or oil if needed. Add the chicken broth, cover and cook over medium heat, about 8-10 minutes until the orzo is tender. Remove from the heat and stir in the Parmesan cheese and black pepper. Share the secret and tell your friends about orzo! Next Split Pea Soup…don’t say yuck just yet!